This is a sponsored post. All opinions expressed are mine. 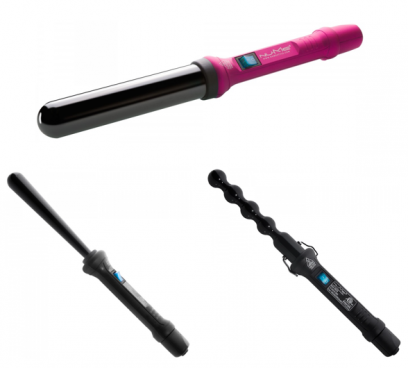 No matter the style of curl you are looking for, you can get it with one of NuMe’s Classic Curling Wands! And you can get a wand this week for just $29.99. These wands regularly run $130, so you are getting $100 off! NuMe’s exclusive Classic Curling Wand (in 19MM, 25MM or 32MM) forms beautiful, romantic waves in half the time of other styling tools, with an added luxury, a gemstone tourmaline-infused ceramic coated barrel. Tourmaline and ceramic heat hair quickly and evenly, resulting in zero damage and a healthy shine. Negative ions are disbursed through the barrel, conditioning hair from the inside-out and creating manageability necessary for precision styling. Want professional-looking, free flowing mermaid-style waves to be your reality? Always one to be on the cutting edge of technology and the latest trends, NuMe has constructed the highest-performing styling tool yet, the NuMe Classic Reverse Wand! NuMe engineers craft cutting-edge tools with hair health and beauty at the forefront of design. And now they have created the secret to the most natural-looking curl possible. Known as the wand for the adventurous curl-seeker, the Classic Pearl Wand is perfect for blending curls into an already natural wave, pairing with colorful styles, and experimenting with long, free-flowing, wild curls. This sale is only this week, so don’t wait to pick up your favorite Nume Classic Wand soon!